Helping Hands Rock Reviews: Stryper Rises Again With New Album, "Fallen"
Stryper Rises Again With New Album, "Fallen"
The casual metal observer may not have realized that Stryper has been regularly pumping out new records since 2005. The cynical metal observer may say that no one missed anything. 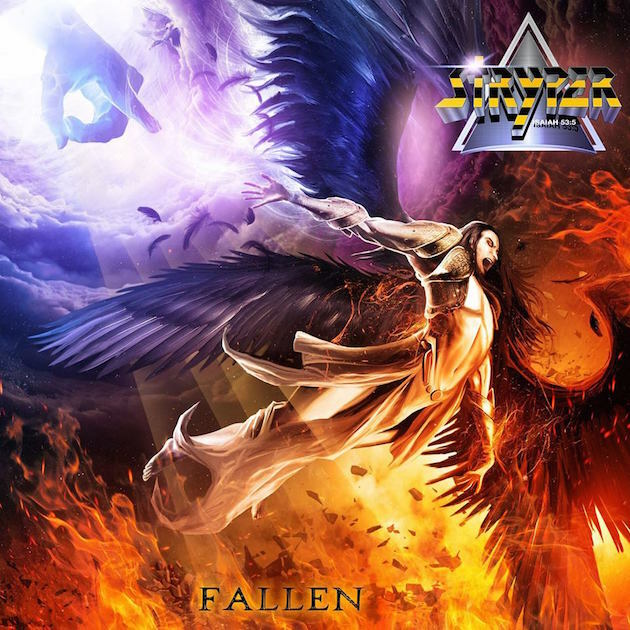 But, holy cow, has Stryper returned to relevance big time with their new album, Fallen. It is without a doubt their most exciting release since 1986's To Hell With The Devil. On Fallen, there is an edge, a grit, and an irreverence that is usually purveyed only by new, hungry bands fresh off the street. Somehow, Stryper turned back the hands of time to recapture the energy and hooks that made them one of the best bands of the hair metal era while also keeping one foot firmly planted in the second decade of the new millennium in terms of ballsiness. On opening track, "Yahweh," the band channels the old-school dark heaviness of Black Sabbath and King Diamond. And it's a devil-may-care six-plus minute tune to boot! "Fallen" and "Pride" are meaty headbangers that demonstrate that singer Michael Sweet's voice has found the Fountain of Youth. Then there's "Big Screen Lies" and "Heaven," which team up to bring the glam singalong chorus into 2015. "All Over Again" is a satisfying ballad. But Stryper saves the best for almost last. Penultimate track "The Calling" makes a case for being the best Stryper song of the last two-and-a-half decades. Seriously, Fallen is a shockingly incredible release from a band that had plenty of those during a time when United States citizens entrusted the presidency of their country to a celebrity. Of all the bands that dominated the charts during the days of Aqua Net rock, Stryper is one of the few that has stood the test of time...and maybe even gotten better with age. If you've been one of those "casual metal observers," it's time to pay attention to what Stryper is doing. Fallen is a collection of great music not to be missed. # of Facebook page "Likes" for Stryper at the time of this writing: 271,619.